Without freedom of thought, there can be no such thing as wisdom – and no such thing as public liberty without freedom of speech. SUBSCRIBE VIA EMAIL SO YOU NEVER MISS A THING! Enter your email address to follow Lifeiscreation and receive notifications of new posts by email. © Mr. Akshay Dhanoa and lifeiscreation.com, 2017-19. All Rights Reserved. Unauthorized use and/or duplication of this material without express and written permission from this site’s author and/or owner is strictly prohibited. Excerpts and links may be used, provided that full and clear credit is given to Mr. Akshay Dhanoa and lifeiscreation.com with appropriate and specific direction to the original content. 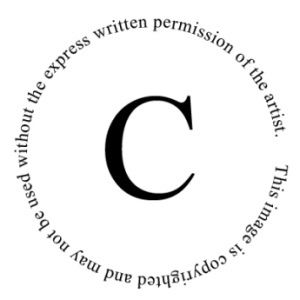 No amount of misuse, duplication and/or theft of the written words/art will be tolerated. Any act found guilty will be punishable by the rules and laws of an ownership licence. My work is licensed under a Creative Commons Attribution-NonCommercial-NoDerivatives 4.0 International License. Hello Everyone! Welcome & Namaste! Thank-you for stopping by my blog. I welcome you all to our site with an open heart that you have spent some part of your time for visiting the site. I as a blogger and human being see the life as a creative tool to understand “The emotions of life and Dynamic capabilities “. The mind is the soul of life, We should continue to focus and train the soul that endeavors us. SOME GOODREADS FOR YOUR LIBRARY! all the stuff that's fit to never see the light of day.